We help companies to leverage their existing media content by building a visual catalog and unlock new sales. Enter your email address to receive more information or Sign up here. Shoppi is a brand-centric and content-first marketplace powered by machine learning. We help you by presenting your company to the right audience using a visual approach. Narrow your audience by interests, location and gender. You can reach a custom audience based on its position and interests. The buying process starts from information search and evaluation of alternatives by the potential buyer; actually, there is a lack of content on traditional eCommerce websites that force buyers to seek information via external channels. Buyers don't return to your business if they don't experiment a satisfactory and memorable experience, therefore statistically finalize his purchase on a competitor website with a more substantial marketing budget. Does Shoppi charge any commission? No, but please note that our credit card payment option includes a taken rate – that is due to our efforts to ensure the lowest possible number of chargebacks. What benefits can Shoppi bring to my business? 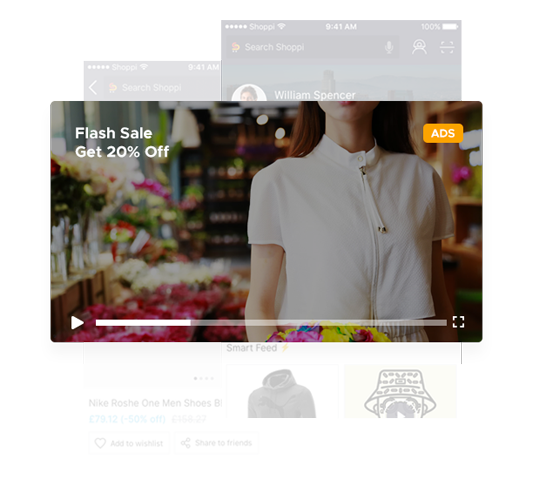 The Shoppi marketplace breaks out from traditional online shopping, allowing you to engage with the audience via multimedia content such as videos, blogs and images. This way, you can entertain current, and attract new viewers. 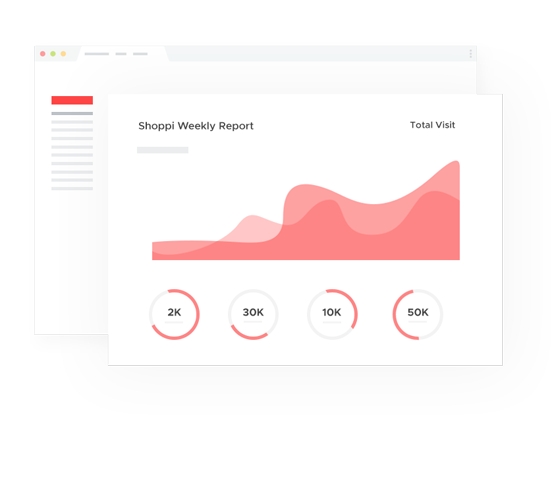 Shoppi stores all sales, traffic, and other vital data and presents it to you in the form of infographics that give you clear and critical insights into your business. Streamline your sales process and increase your business agility with Shoppi. We support top-notch businesses by empowering their customer journey. We genuinely believe that visual categories offer time-saving experience in browsing vast catalogues – with the aid of machine learning, we provide an ongoing tailored SmartFeed to each customer. Engaging with current customers and attracting new audiences is essential to the survival of most B2C businesses. Shoppi is innovative mobile commerce and social media platform that allows you to sell to and engage with a mobile audience. It also operates as a ‘Point of Sale’ software enabling you to accept face to face payments through in-store hardware. With Shoppi POS, you can access a wealth of active shoppers without the need for additional SEO or marketing budgets – our software handles all this for you. Shoppi gives you access to active mobile shoppers that may not be possible to engage with through digital or traditional marketing methods. Your sales process is streamlined, and you are given insights that will help you drive more sales than the conventional solution. Fresh new content from your business will be promoted to the users via a smart stream, and the payment process is made simple. Loyalty is encouraged through the social aspect of the technology, and new customers can be reached through engaging content. How import data on Shoppi? Our technology will start from scanning your website, social media and existent data on the web to gathering accurate data and keep them synced for you. Our technology and experience in big data and content analysis offers you a powerful and fully automated way of processing and storing your data to appeal to our user base. How many businesses are registered on Shoppi? Currently, we have 1800 new vetted merchants per month, and we aim to expand our base to offer more options to our customers. Our marketplace is brand-centric, and this is the most exciting part for merchants because they can be in control of their marketing strategy on Shoppi. What short-term benefits can Shoppi offer me? We can offer your company “data insights” that will show, if our platform fits your business. 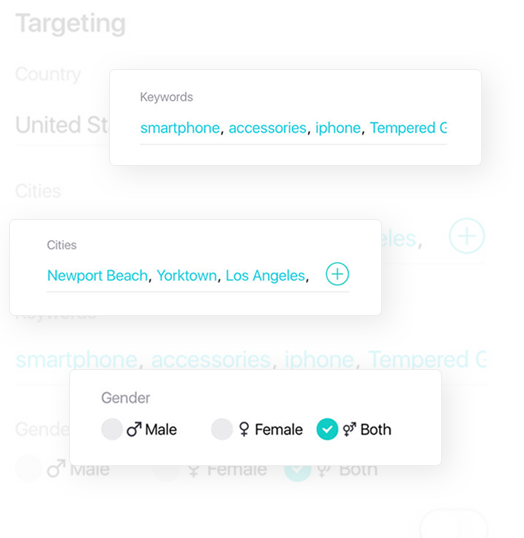 Our data insights will include visitors, platforms, and record of all content published by you on Shoppi© – this is a great way to test your marketing. Can I start with a product demo/trial? If you are a large company, we will assist you with setting up your business profile reply to all your questions (free of charge). How does the listing work on the Mobile App? Simply create your free business account at Shoppi, upload your business logo, fill your payment details, and publish your first content such as photos and articles. Any business that has a product or service that is marketable to a consumer is compatible with Shoppi. Simply create your free business account at Shoppi, upload your business logo, publish your first content, and fill your payment details in by enabling payments. Is Shoppi suitable for local services? Can I use my already owned domain? The minimum contract period is either three months or six months for startup plan and 1-year subscription for higher plans that is automatically renewable at the end of the period. Ready to start your business here? © 2019 Shoppi. All rights reserved.